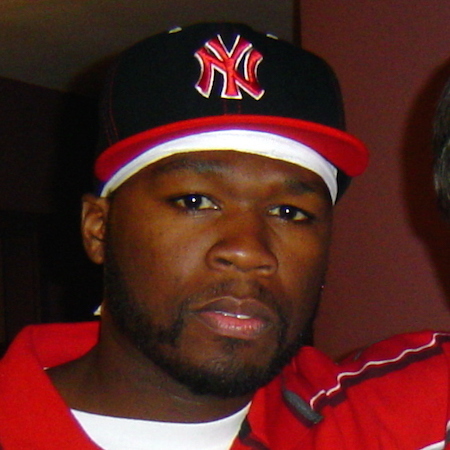 As we did with Marshall Mathers and Cornell Haynes in last week's "Fab Fifteen", we're going to have to limit Mr. Curtis Jackson b/k/a 50 Cent to just one entry in the rap videos for 2003. If we were to list every video from "Get Rich or Die Tryin'" he could hold down 25% of the entries all by himself. There's no question that 2003 is the year 50 blew up nationally and internationally though. He had actually been around for a little while - he even had a hit single called "How to Rob" back in 1999. The song was unintentionally foreshadowing his own career, because 50 got shot the next year in a botched jewelry heist, and Columbia Records suddenly decided Mr. Jackson was too hot to handle and dropped him before "Power of the Dollar" could even be released. Two weeks in the hospital and five months of rehab may not have seemed like a blessing in disguise, but Jackson's near death experience not only made him more focused as an artist, it also changed his delivery as the bullet that penetrated his cheek left him with a swollen tongue initially and a slightly slurred flow permanently. It became a permanently distinctive sound for 50 that in fact separated him from a flood of similar rappers trying to get their break in New York. Once he got discovered by Eminem and flown to L.A. to meet Dr. Dre, the rest was history. 1.) 50 Cent - "In Da Club"
2.) Snoop Dogg f/ Pharrell - "Beautiful"
3.) Nas - "Made You Look"
4.) Ludacris - "Act a Fool"
5.) Lil' Kim f/ Mr. Cheeks - "The Jump Off"
6.) Lil Jon & The East Side Boyz - "Get Low"
7.) DMX - "X Gon' Give It to Ya"
8.) Nelly f/ Murphy Lee, P. Diddy - "Shake Ya Tailfeather"
10.) Black Eyed Peas - "Where Is the Love?" 11.) David Banner f/ Lil' Flip - "Like a Pimp"
12.) Cassidy f/ R. Kelly - "Hotel"
13.) Joe Budden - "Pump It Up"
14.) Bone Crusher f/ Killer Mike, T.I. - "Never Scared"
15.) Chingy - "Right Thurr"